Special Frontier Force is a military organization funded by United States to promote Democracy, Freedom, and Peace in Occupied Tibet. On behalf of Special Frontier Force, I am pleased to share news story on Pro-Democracy Movement in Hong Kong. 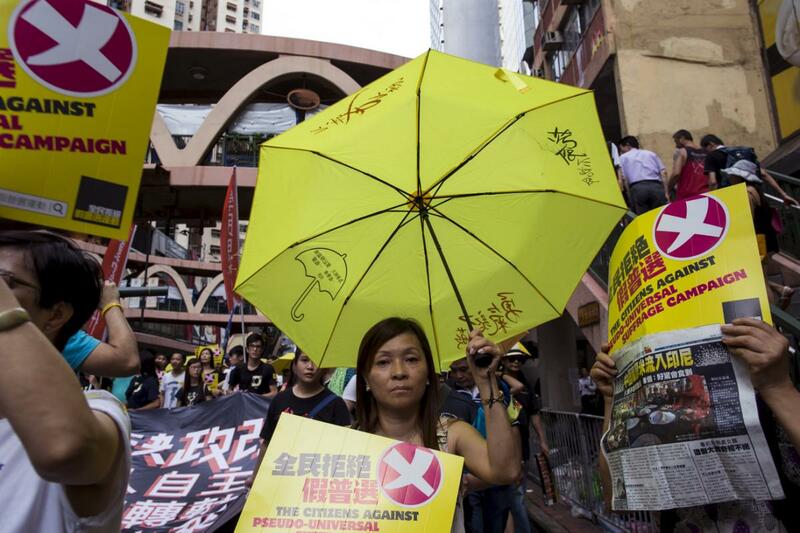 Pro-democracy lawmakers chant slogans after voting at Legislative Council in Hong Kong, China June 18, 2015. 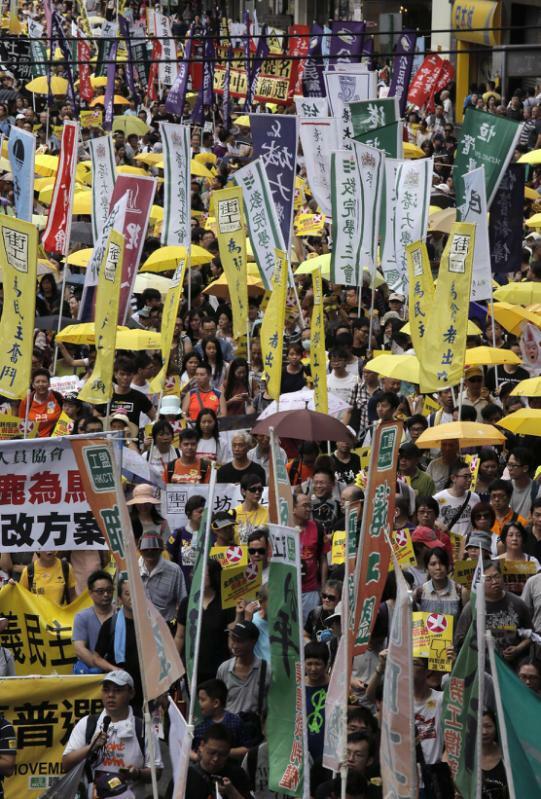 HONG KONG (Reuters) – Hong Kong’s legislature on Thursday vetoed a China-backed electoral reform package criticized by opposition pro-democracy lawmakers and activists as undemocratic, easing for now the prospect of fresh mass protests in the financial hub. The rejection had been expected and will likely appease some activists who had demanded a veto of what they call a “fake” democratic model for how the Chinese-controlled territory chooses its next leader in 2017. 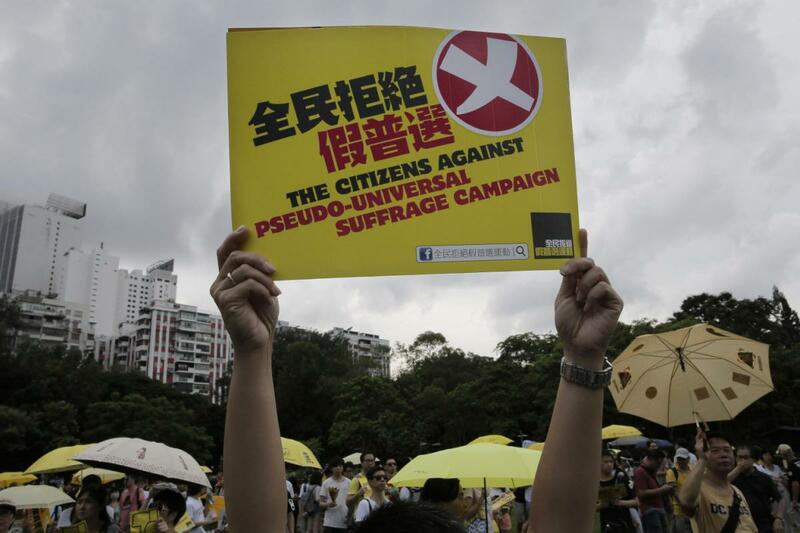 But it was a setback for Beijing’s Communist leaders, who said in response that they remained committed to universal suffrage for Hong Kong but signaled no further concessions to the pro-democracy opposition. Beijing had pressured and cajoled the city’s pro-democracy lawmakers to back the blueprint that would have allowed a direct vote for the city’s chief executive, but with only pre-screened, pro-Beijing candidates on the ballot. The vote came earlier than expected, with only 37 of the 70 members of the Legislative Council, known as “legco”, present. Of these, 28 legislators voted against the blueprint and eight voted in favor, while one did not cast a vote. 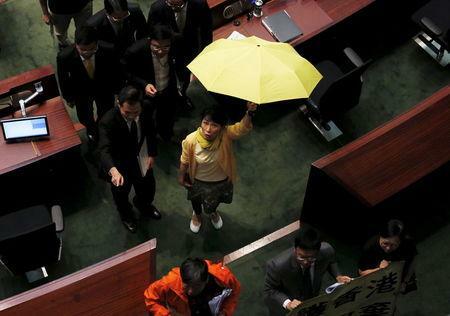 Pro-democracy lawmaker Claudia Mo carrying a yellow umbrella, a symbol of the Occupy Central movement. 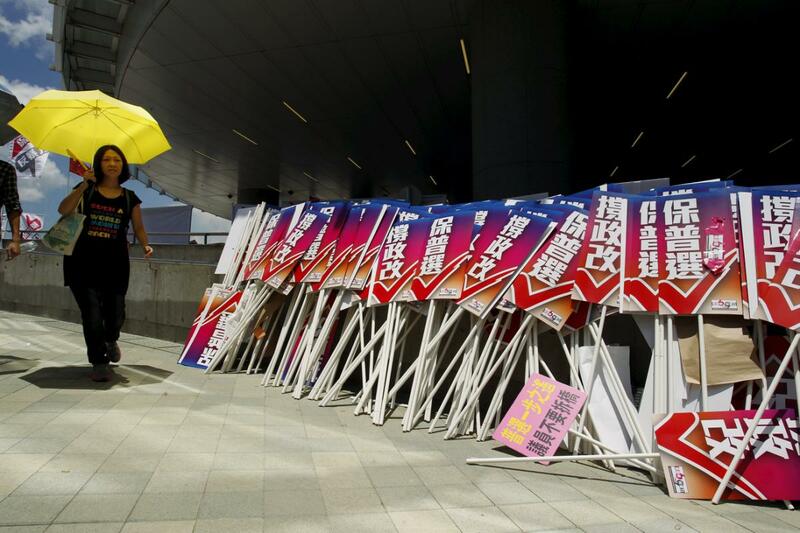 “Today 28 legco members voted against the wishes of the majority of Hong Kong people, and denied them the democratic right to elect the chief executive in the next election,” said the city’s current pro-Beijing leader Leung Chun-ying. 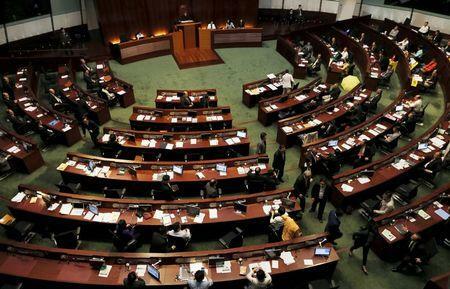 A spokesman for China’s top legislative body, the National People’s Congress (NPC), said a few Hong Kong lawmakers remained “stubbornly opposed” to the central government. 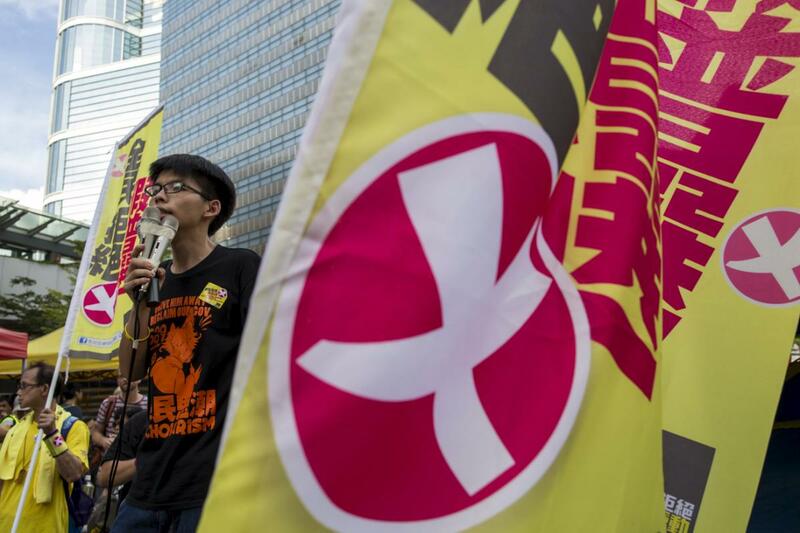 “It fully exposes their selfish interests, hinders Hong Kong’s democratic development and damages the essence of Hong Kong’s prosperity and stability,” the spokesman said, in comments carried by state news agency Xinhua. 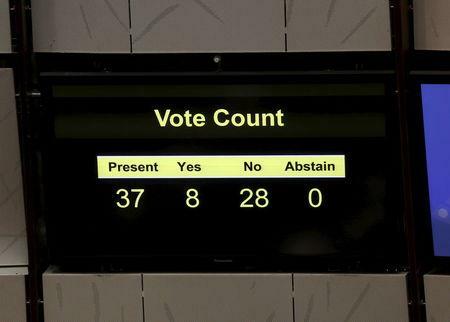 A panel showing the voting result, after many pro-China lawmakers left in between voting, is displayed at Legislative Council. In an unexpected twist, moments before the ballot a large number of pro-establishment and pro-Beijing lawmakers suddenly walked out of the chamber. 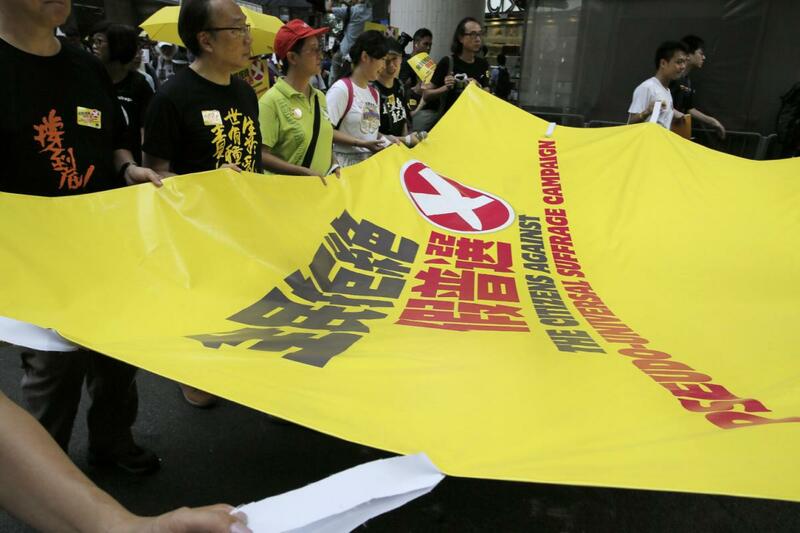 The votes of one-third of legco members are sufficient to push through a veto. 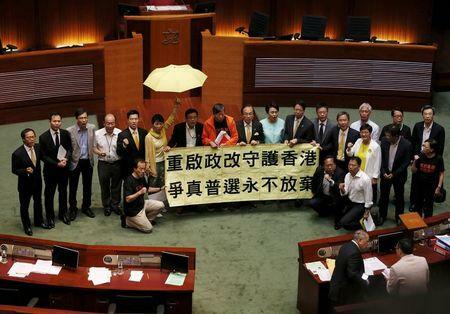 Democratic lawmakers, all 27 of whom voted against the plan, marched to the front of the chamber immediately after the veto and unfurled a sign calling for genuine universal suffrage and for Hong Kongers not to give up. 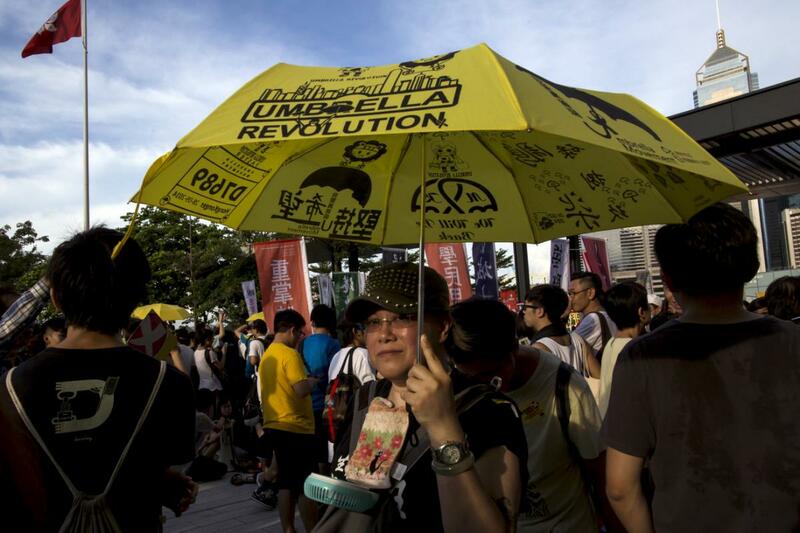 Some carried the yellow umbrellas that became a symbol of the mass protest movement that brought parts of the former British colony to a standstill last year. 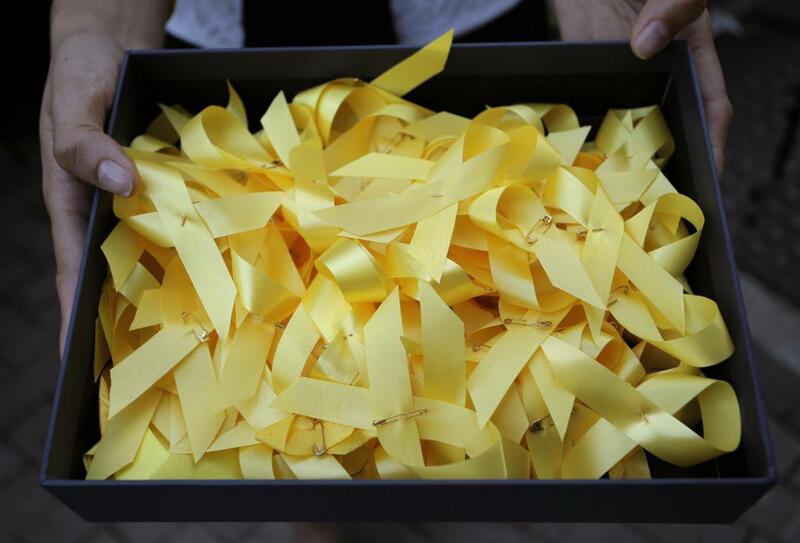 “This veto has helped Hong Kong people send a clear message to Beijing … that we want a genuine choice, a real election,” said pan-democratic lawmaker Alan Leong. Pro-China lawmakers leave Legislative Council in between voting in Hong Kong, China June 18, 2015. Outside the legislature, pro-democracy protesters broke into cheers and clapped wildly after the result. 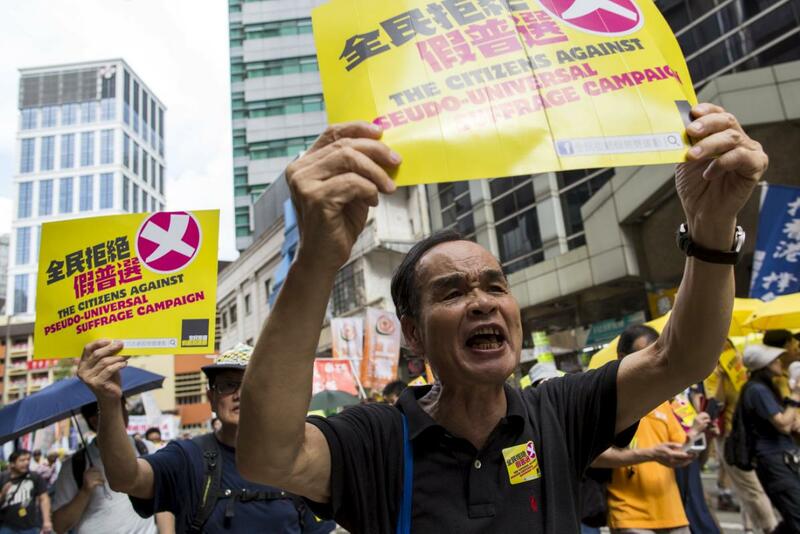 “It’s a victory of democracy and the people,” said a 75-year-old pro-democracy protester surnamed Wong, who fought back tears. Meanwhile, around 500 pro-Beijing supporters outside the chamber staged a minute’s silence then began chanting: “Vote them down in 2016!” calling for democratic lawmakers to be kicked out of the legislature in a citywide election next year. Hundreds of police were in and around government headquarters with thousands more on standby, but there were no reports of trouble. Weeks of pro-democracy protests in Hong Kong late last year posed one of the biggest challenges in years for China’s ruling Communist Party. Then, more than 100,000 people took to the streets. The reform proposal was laid out by the NPC Standing Committee in Beijing last August and supported by Hong Kong’s pro-Beijing leadership. 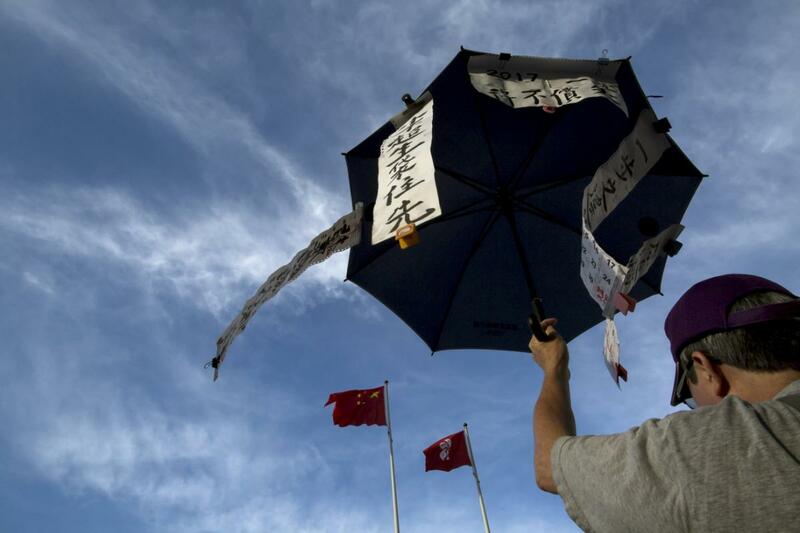 Opponents, however, want a genuine democratic election in line with Beijing’s promise of universal suffrage made when the territory returned to Chinese rule in 1997. Rejection of the proposal now means going back to the old system where a 1,200-member committee stacked with pro-Beijing loyalists selects Hong Kong’s leader. Democratic lawmakers want on Beijing to restart the democratic reform process and put forward an improved, truly democratic electoral package. But the NPC spokesman indicated that would not happen, saying that Beijing’s proposal was a “constitutional, lawful, fair and reasonable” decision. “It is legally binding and unshakeable,” he said. 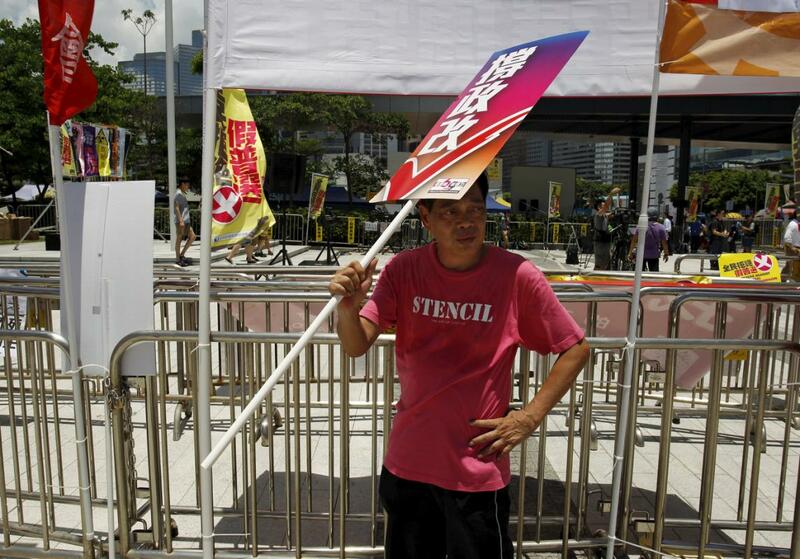 Hong Kong lawmaker Michael Tien said that meant the rejected blueprint remained the only option. “It’s very simple. They put forward a proposal. The legislature for this term vetoed it,” he said.